correspond to 42.6% of the total followed by pigmented skin alterations (mainly nevi and maculae) corresponding to 26.2%; skin alterations of skin structure (creases and incisures) correspond to 15%. The remaining three groups follow with percentages below 5-10% (Fig. 4.4). The six categories of skin alteration have a different distribution on the 11 areas of the auricle. Telangiectasia are mostly seen on the anthelix, nevi prevalently on the helix followed by the ear lobe. Maculae have a uniform distribution on the anthelix, helix and lobe. The skin alterations of sebaceous gland structure (particularly comedones) were found mainly on the cymba conchae followed by the cavum conchae. Also depressions and dyskeratosis were found mostly on the cavum conchae. Also interesting is the comparison between the different percentage distribution throughout the six categories in the extremes of the age groups: younger people tended to have pigmented skin alterations (especially nevi) followed by vascular and sebaceous gland skin alterations (comedones), whereas in the oldest group of patients vascular skin alterations ranked first, followed by creases, incisures and pigmented skin alterations (especially maculae) (Fig. 4.5). The scantiness of skin alterations on the medial surface compared to those on the lateral surface is remarkable and only 902 (10.2% of the total) were found there. It is possible that this percentage could be higher if inspection of the medial surface were easier, if we consider that pain pressure test (PPT) tender points of this area in 325 patients were 14.4% and those with lower electrical resistance 19% of the total. Fig. 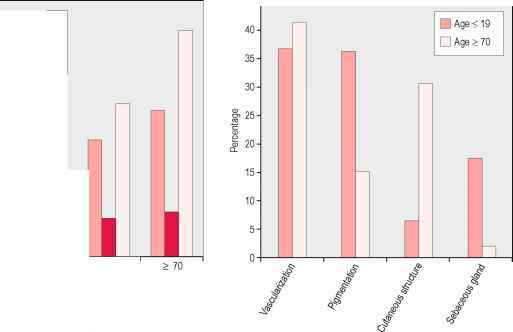 4.3 Average number of surgical operations, traumas and hospitalizations in 711 patients according to four age groups (<30, 30-49, 50-69, >70 years). Fig. 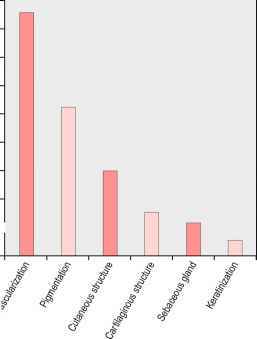 4.4 Percentage distribution of skin alterations (SAs) in each of the six categories in 711 patients. Fig. 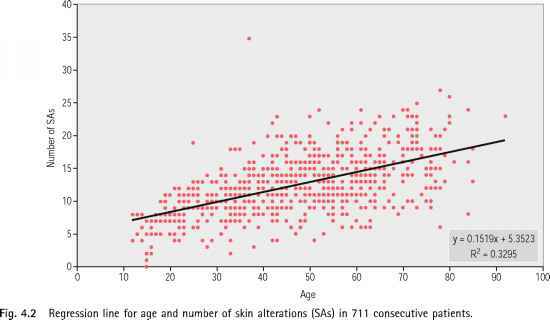 4.5 Percentage distribution of skin alterations (SAs) related to vascularization, pigmentation, cutaneous and sebaceous gland structure in the youngest age group (<19) and in the oldest (>70 years). As an example of auricular inspection and correct methodology in recording skin alterations, I here report the case of an elderly woman. Considering type of skin alterations and above all their location, I could confirm the presence of some past and current health problems. In this case the difference between the richness of skin alterations on the lateral surface and their scantiness on the medial surface is clearly outlined. 50 years and even after menopause. She still suffered occasionally from attacks, mainly on the right side. She had had hypertension for at least 30 years, controlled by drugs. Some members of her family (brother, sister and nephew) had hypertriglyceridemia. Her levels of triglycerides had often been above average, reaching a maximum of 600 mg. 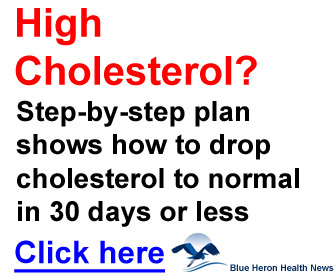 Her cholesterol levels had always been normal and there was no evidence of diabetes. She had had chronic lumbago in the L4-L5 herniated disk for over 20 years with recurrent sciatic and knee pain on the right side. 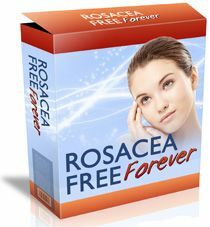 She had also been suffering with bilateral neck pain for several years. Moreover, she suffered from gastritis and chronic dyspepsia, due also to her prolonged intake of NSAIDs. She had become increasingly deaf in recent years. • The upper part of the ear shows a hyperemic area of the helix (sector 21 of the Sectogram); one telangiectasia and one hyperemia on the scapha and two neighboring hyperemic areas at the bifurcation of the superior and inferior crura of the anthelix. A small incisure and a few small furrows are visible respectively on the edge of the inferior crus of the anthelix and on the upper portion of the helix. 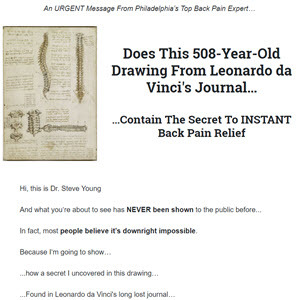 The location of these skin alterations is consistent with the patient's chronic back pain and recurrent sciatic pain. 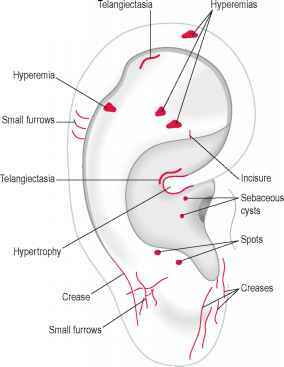 • In the central part of the ear an oval area of cartilaginous hypertrophy is visible adjoining the root of the helix and surrounded on the upper border by a linear telangiectasia. These skin alterations are consistent with the patient's gastritis and chronic dyspepsia. Below the root of the helix two sebaceous cysts are visible, one of them approaching the lung area. The sebaceous gland skin alterations of the upper and lower concha may orient the acupuncturist to suspect a hyperlipidemia (see Plate XVD) which in this case is confirmed by the increased levels of triglycerides. Fig. 4.6 Type and location of skin alterations in a 77-year-old female patient. 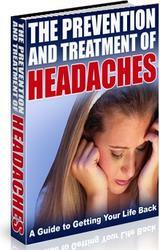 considered indicative of the patient's long history of migraine. Several creases and incisures are visible on the ear lobe: the creases are more evident on the anterior part and are consistent with the patient's hypertension, and generally speaking with her cardiovascular risk. The small crease and the furrows on the posterior part of the lobe are consistent with the patient's chronic depression and perhaps with her loss of hearing which has worsened in recent years. In spite of profuse skin alterations of the lateral surface, the medial surface shows only a few incisures on the lobe border and a deepening of the anthelix groove, relative to the patient's chronic neck and back pain.